Aaron Hamilton assists Barb with Group 1. Aaron celebrated his graduation from Bedford High School this spring. He will be entering his freshman year at the University of Rochester, where he plans to study either physics or biology. 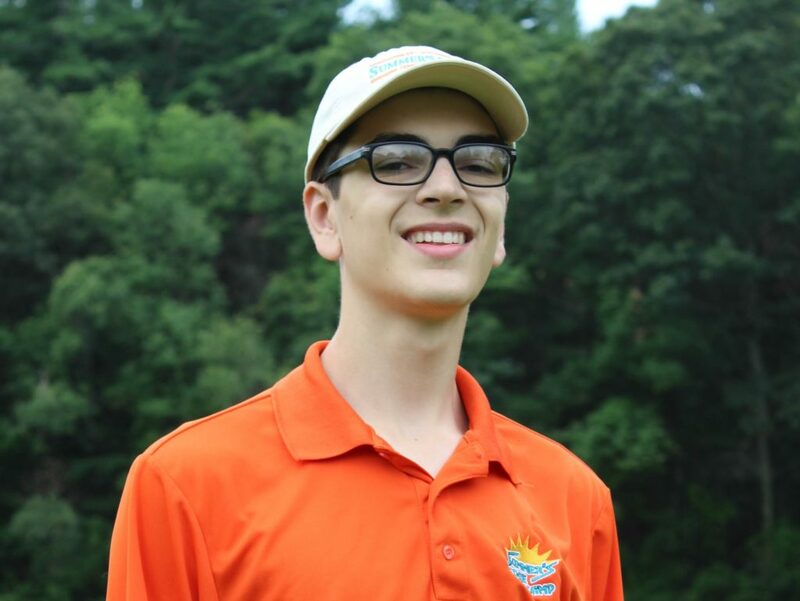 Aaron is a long-time resident of Summer’s Edge, including many summers in both the day camp and tennis school. He is excited to bring a cool “beat” to the Group 1 campers’ days: after all, Aaron is a skilled drummer, in genres of jazz, funk, and rock!